This little arrangement is one that you can plant and keep inside to look at in stormy weather. 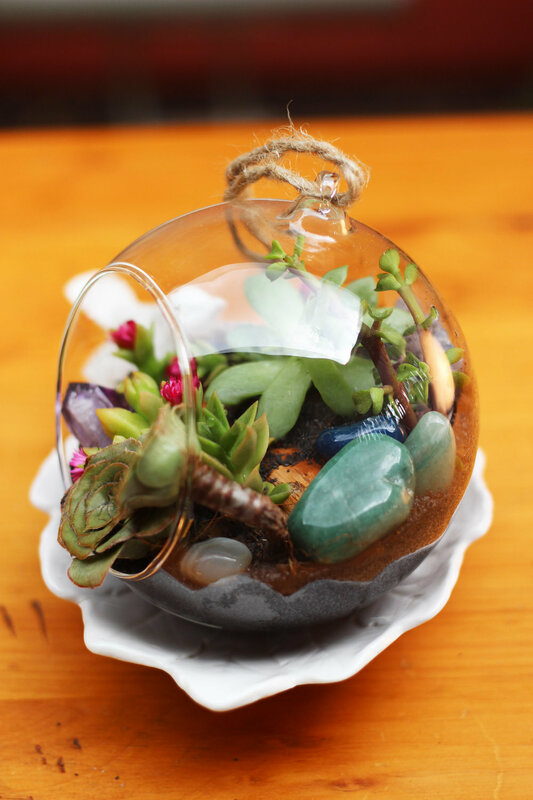 You can buy a terrarium like this (click here) It has small succulents, gemstones, and polished rocks. I love beautiful rocks. My father was a prospector (and a civil engineer) so I've had a rock collection since I was a little girl. 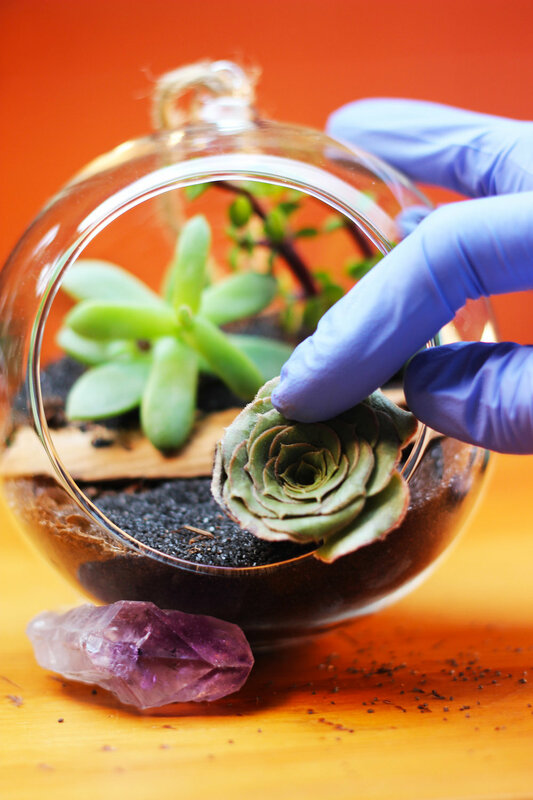 The succulents are planted in black sand mixed with cactus mix. This gives a dark contrast to the green of the succulents. The flowering succulents give a splash of fuchsia, and the rocks bring in other colors, in this case lavenders, blues, and jade greens. 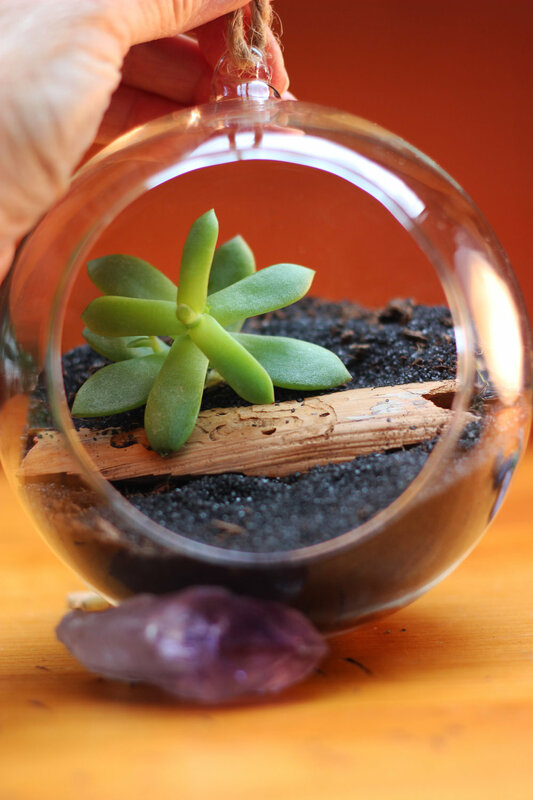 If you make succulent cuttings for this terrarium, let them sit in indirect light for 24 hours after cutting them before planting. When you have you cuttings ready and your chopstick, let's go to work. Let cuttings sit 24 hours before planting. Put sand in then set driftwood halfway back at angle so sand is higher in back. 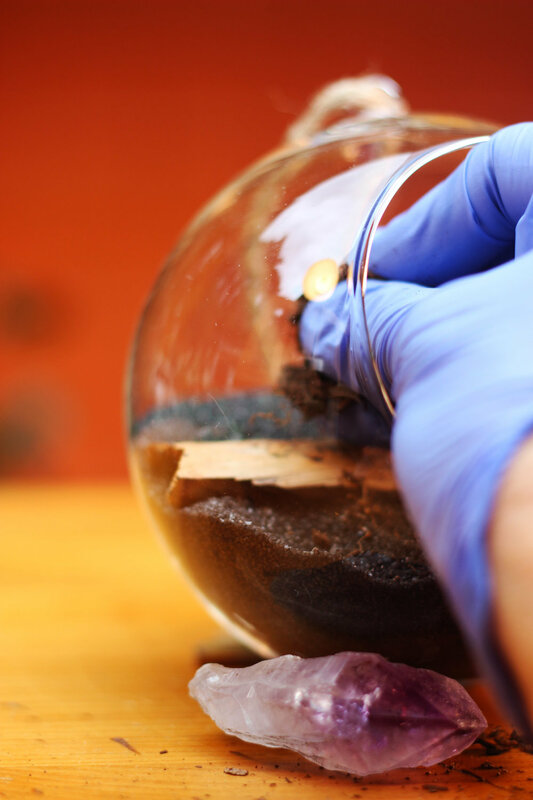 Mix cactus mix into sand where you will plant. Place largest cutting in back. 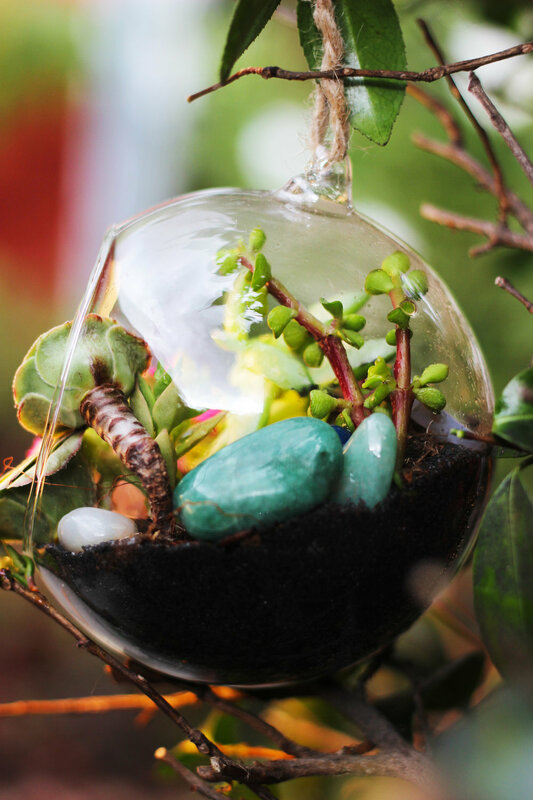 Next, plant 2 vertical succulents and put in a couple colored polished stones. Plant 'rose shaped' succulents in front right side. Put quarts along back and sides to add interest. Plant flowering succulent in back. Place beige and jade colored polished stones along side with Amyseth in front. It should look interesting and have a variety of color on all sides. Give it a spray, once a day. Make sure it is in a place where it will get light. You can hand it, like so. Or display it in a dish, like this leaf dish from Home Goods.